“BOLLYWOOD SUGAR IN BLUE” by HANDIEDAN in ADDA&TAXIE gallery! La artista holandesa Handiedan presenta su obra inédita “Bollywood sugar in blue” en ADDA&TAXIE. En ella vuelve a sorprendernos su minuciosa y intrincada forma de engarzar diferentes elementos que evocan sensaciones clásicas y modernas. 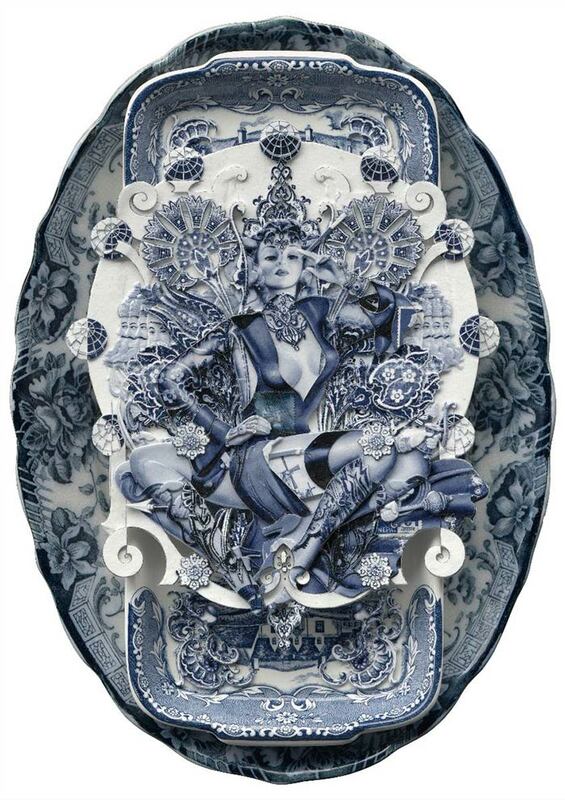 The Dutch artist Handiedan presents her inedit work “Bollywood sugar in blue” in ADDA&TAXIE. She surprises us again with his meticulous and intricate way of linking different elements that evoke classic and modern sensations.